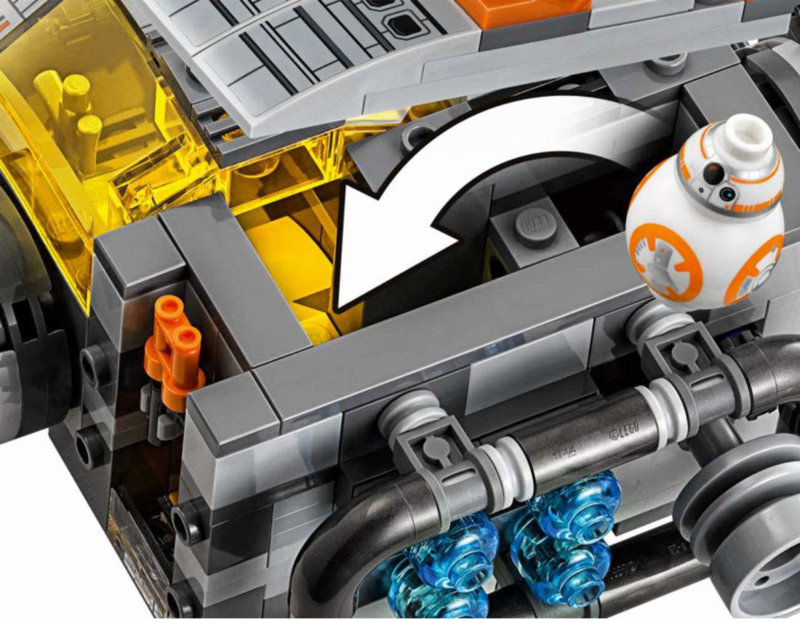 One model that stands out in the Star Wars launch is the large scale model BB-8 75187. The model is not huge, but is still a large compared with a normal set. 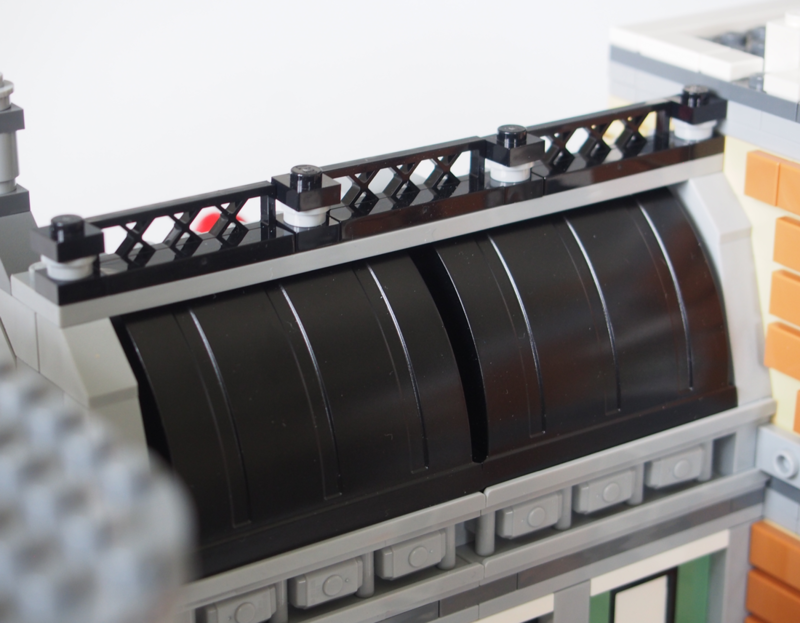 The main technical features is two different spinning wheels on the body. One wheels spinns the head in different positions and the other opens a door and out comes a ”look a like” lighter. 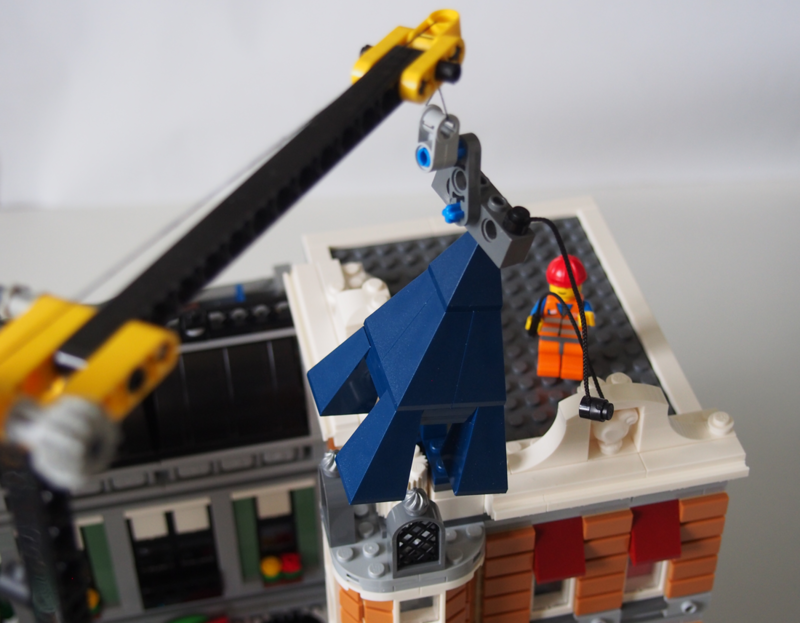 The set is made out of 1106 pieces and estimate price of $90 or 1099 SEK. 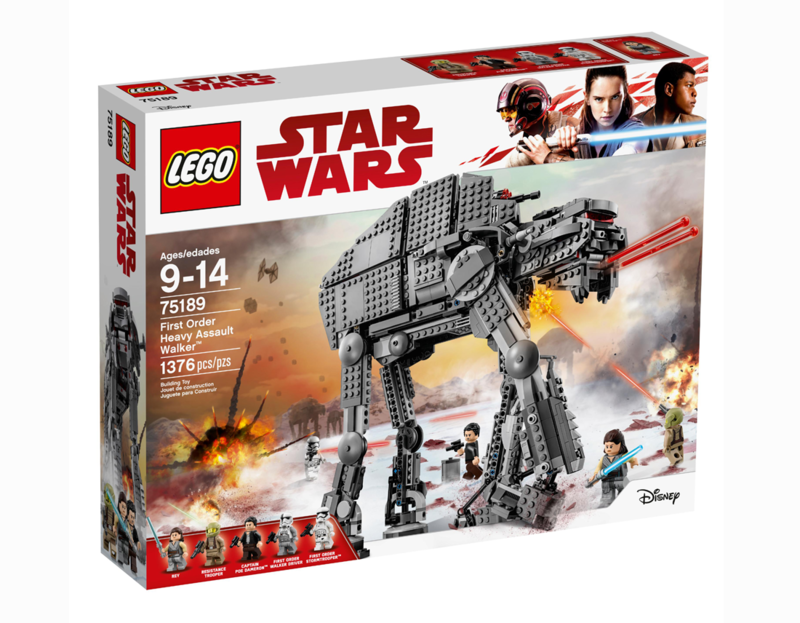 A new Walker 75189 hits the stores on Friday. 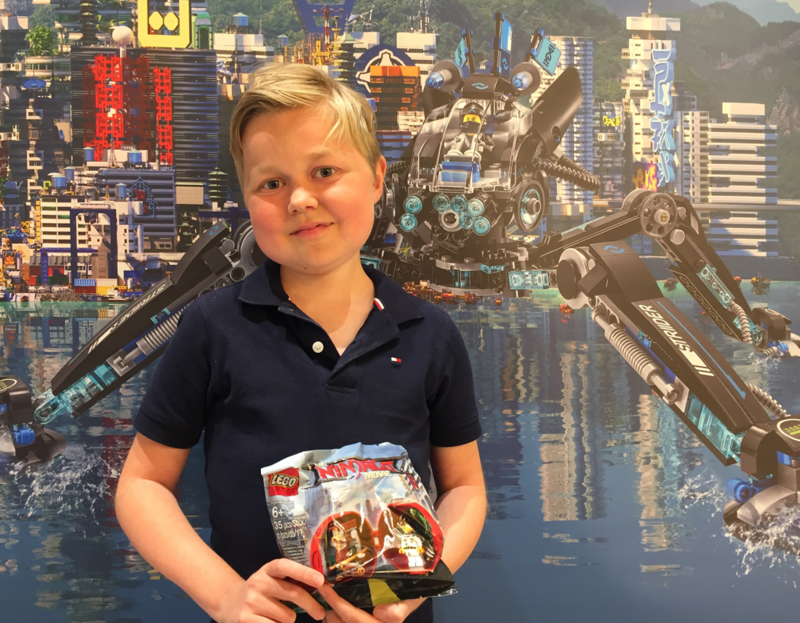 The set is made out of 1376 pieces with a price of $140 or 1599 SEK. The size and look is similar to the previous one. The tiles have a more dark grey color. The legs have great flexibility and the head has a good look. 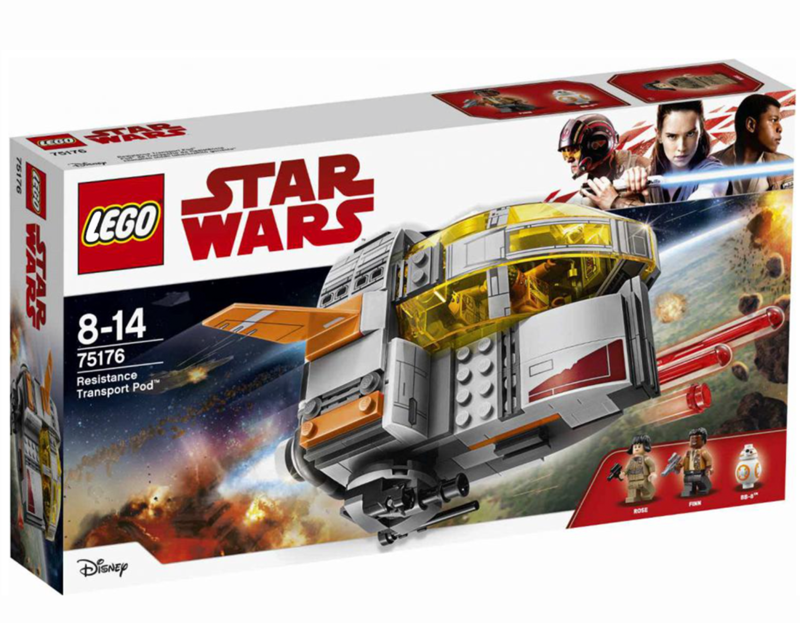 It has two spring loaded shooters and has space for one mini figure driver. A mega caliber 6 canon with a stud shooter is placed on the top of the walker. You can move the cannon in many different positions. 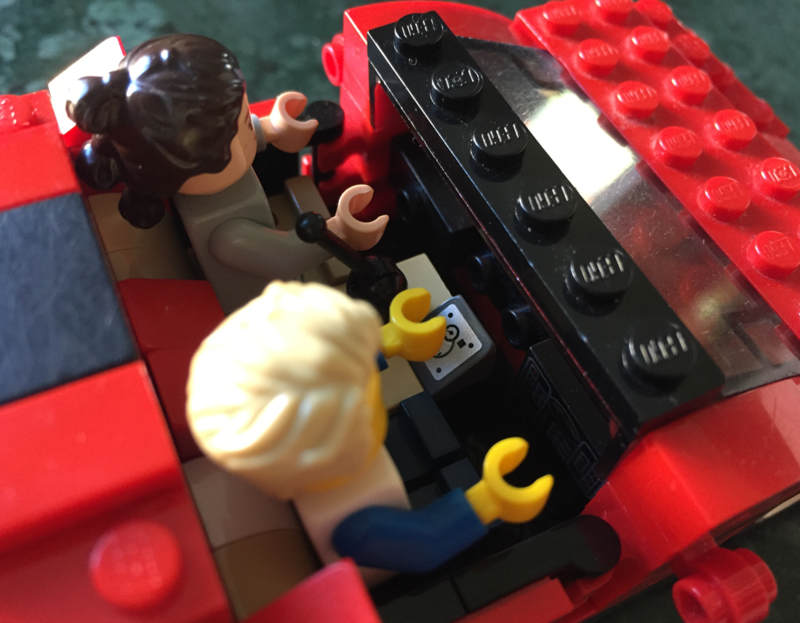 The inside of the body is not very generous, fits only two mini figures. 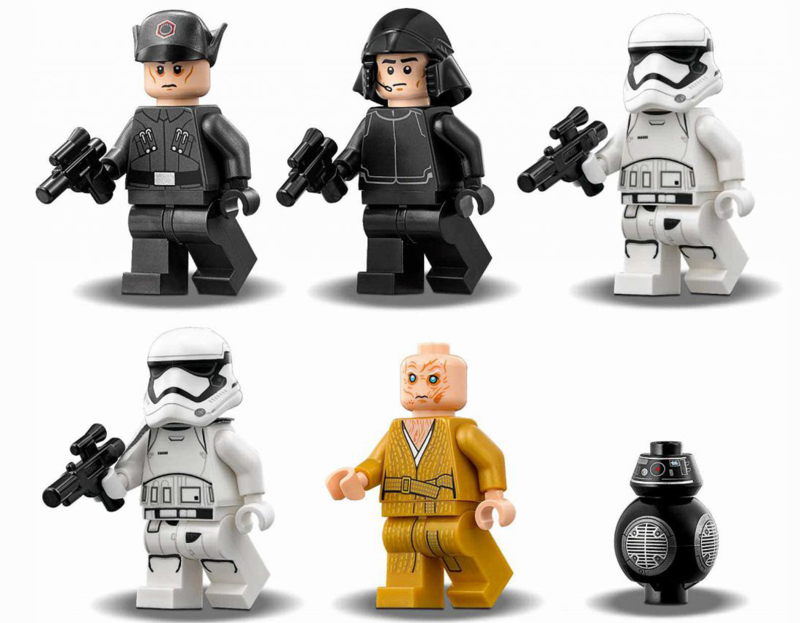 Ray, Poe with a cool look, a driver, a First order Storm Trooper and a Resistant trooper comes with the set. 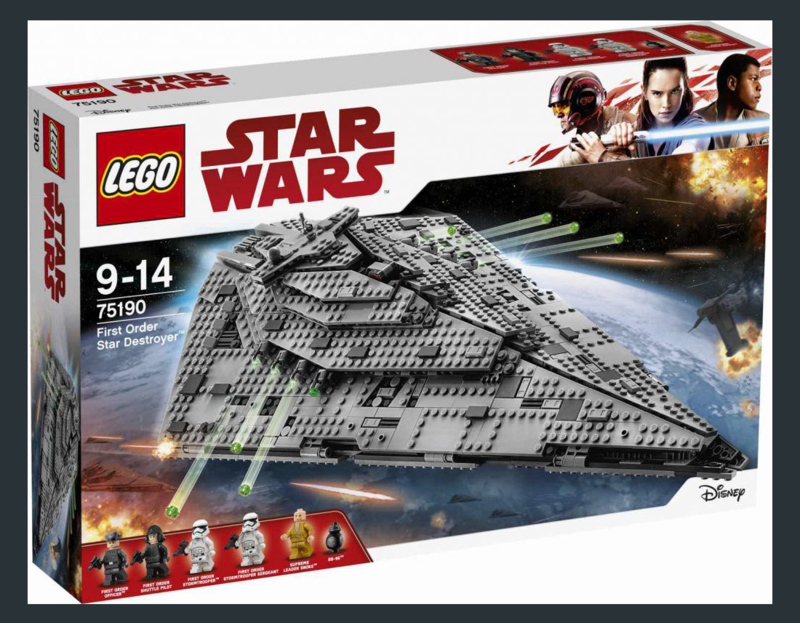 Another set to be launched on Force Friday the 1st of September is the First Order Star Destroyer 75190. 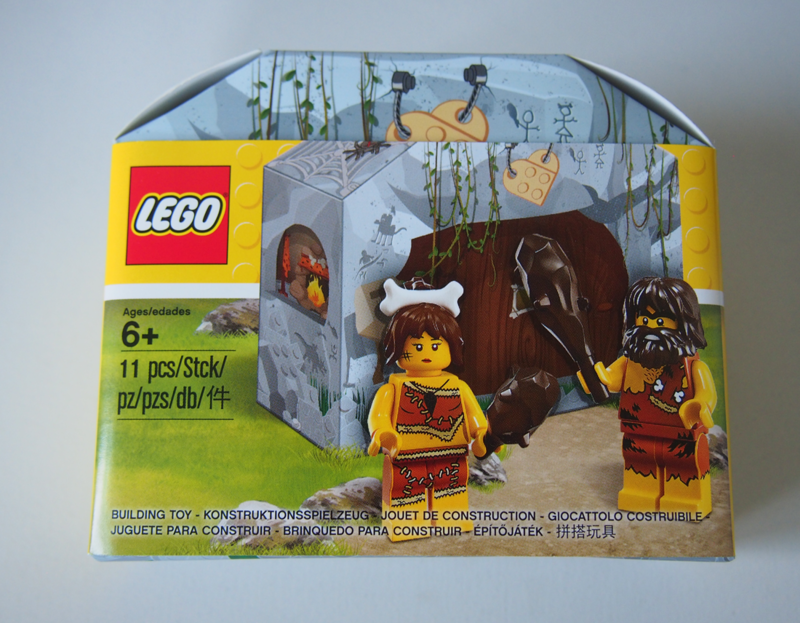 The set includes 1416 pieces, with a price of $150 or around 1799 SEK. The designer has made a solid ship with many nice features. The look from the outside is great, they have used the bricks wisely with many grey layers. 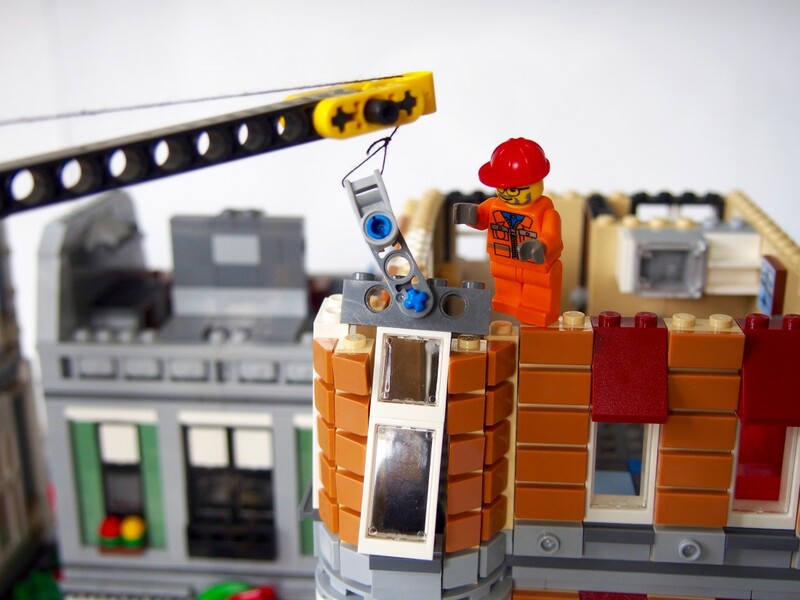 The inside can easily be opened by two large assemblies on each side. 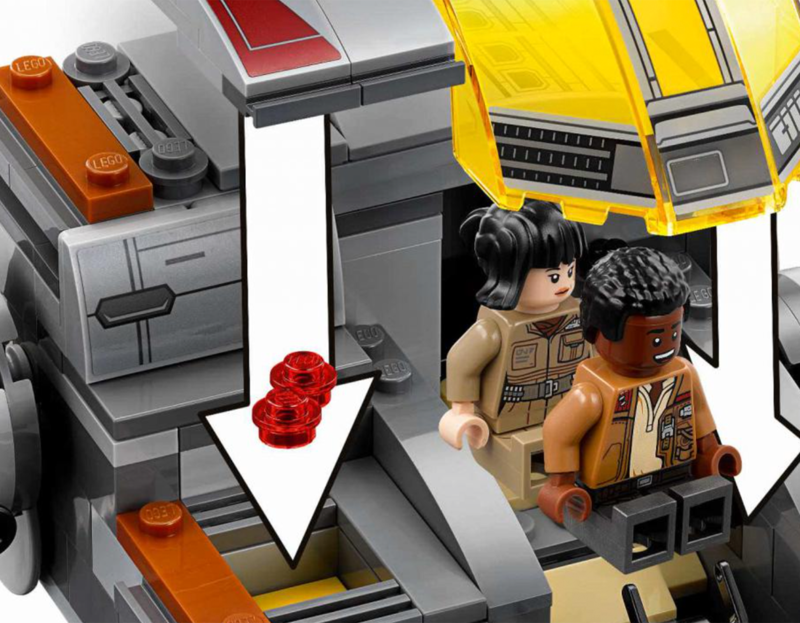 Generous space with a commando bridge, communication center, elevator etc… You get many mini figures and one of the most famous ones is probably Snoke. A deformed mysterious master teacher and overlord of the First Order and the dark side. I like his golden dress. 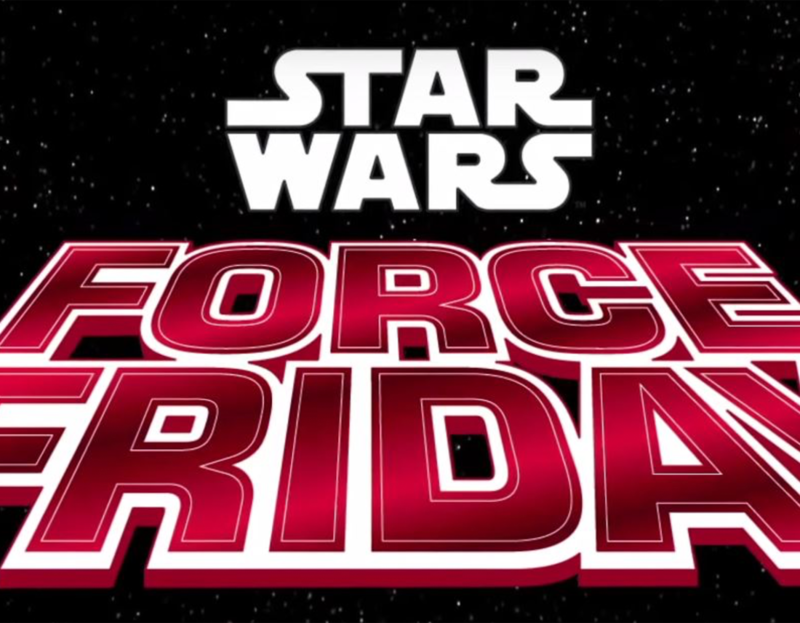 This week, remember the up coming celebration – Force Friday on the 1st of September. 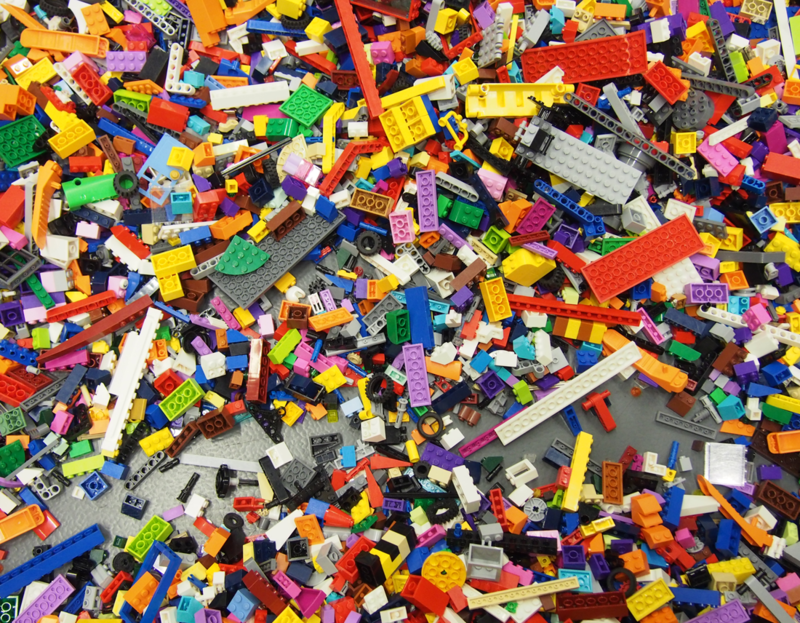 All the Lego Stores will have great offers. Perfect time to buy your favorite one. 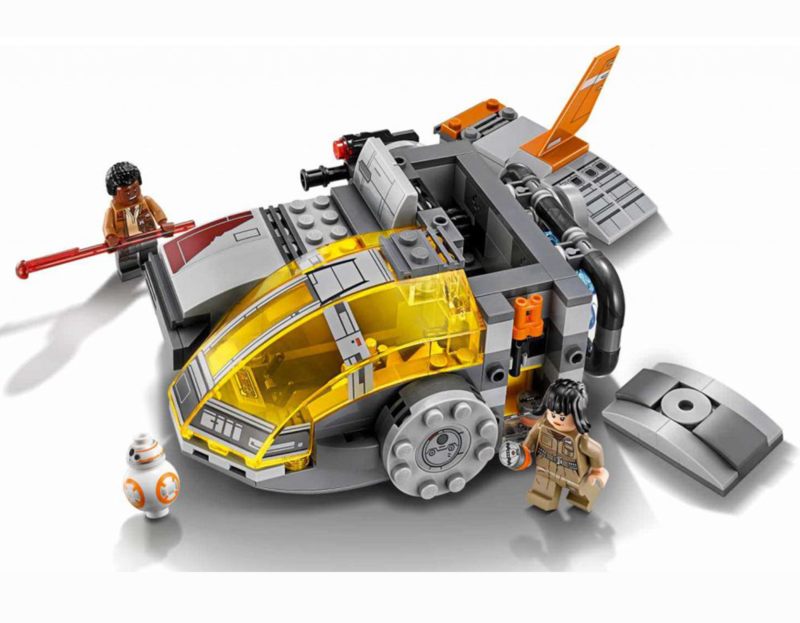 New Lego star wars sets will be released, 75176, 75177, 75179, 75187, 75188, 75189, 75190. 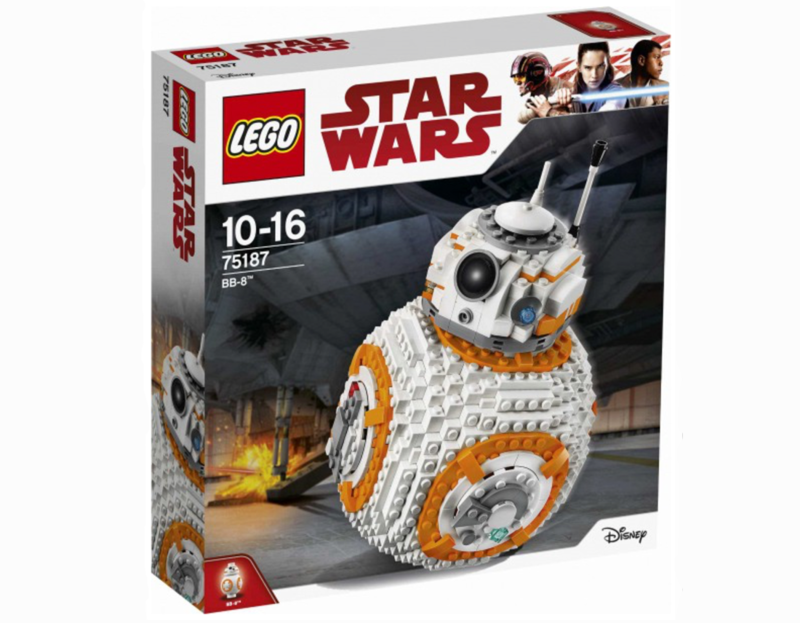 Double VIP Points on All LEGO Star Wars items, free Scarif Stormtrooper Minifigure with a LEGO Star WarsPurchase of $50 or more, exclusive VIP LEGO Star Wars poster with a LEGO Star Wars purchase…..
On Force Friday 1st of September Lego launch many new sets. 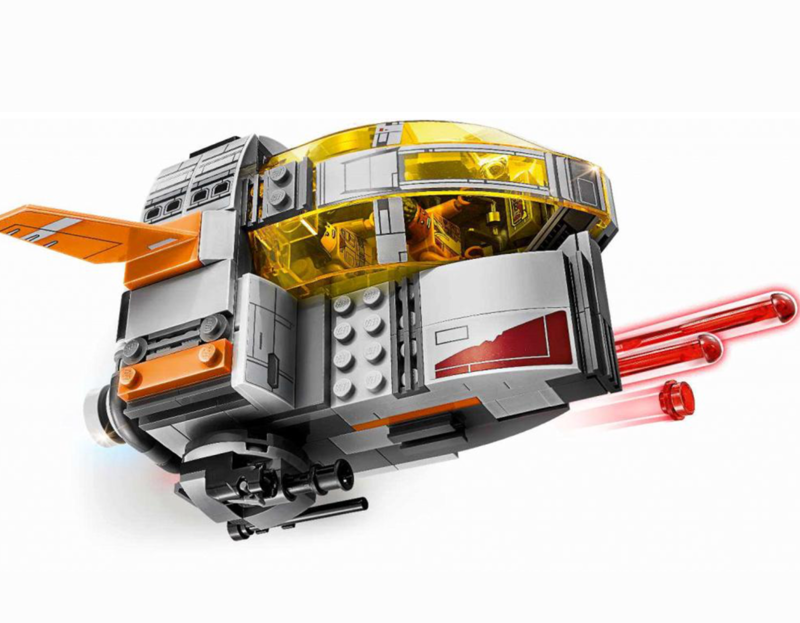 One of the smaller sets is The Last Jedi Resistance Transport Pod 75176. 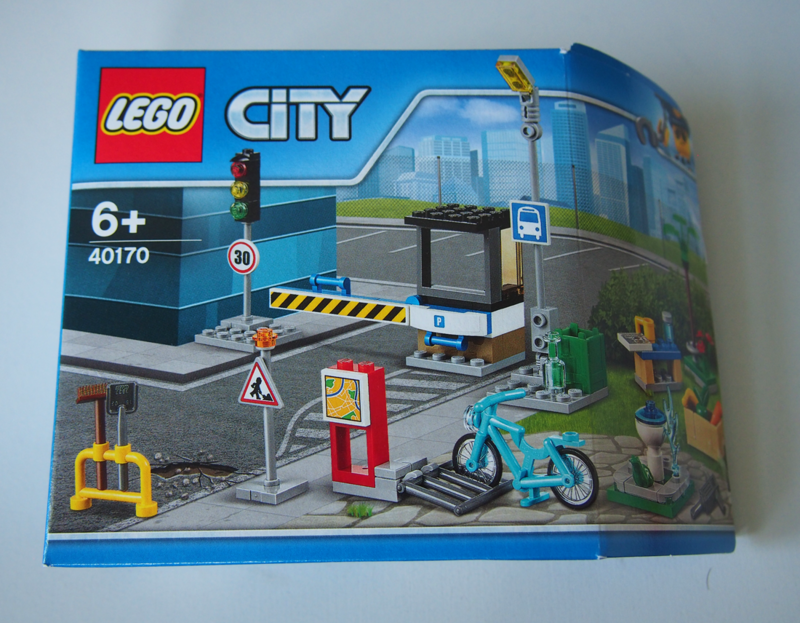 The set has 294 pieces and a price of $30 or 449 SEK. 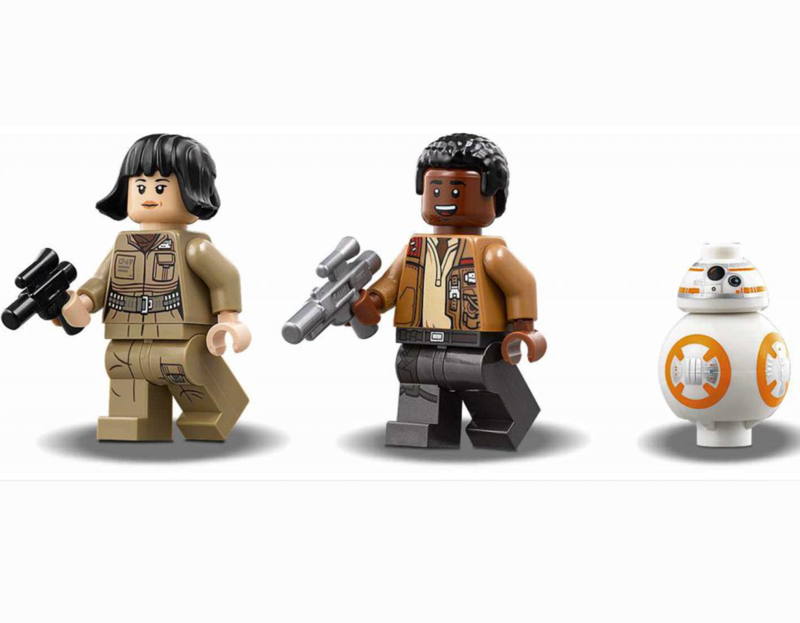 I assume this set will become popular because it’s quite cheap and includes the main characters from the movie, Finn, Rose and BB-8. 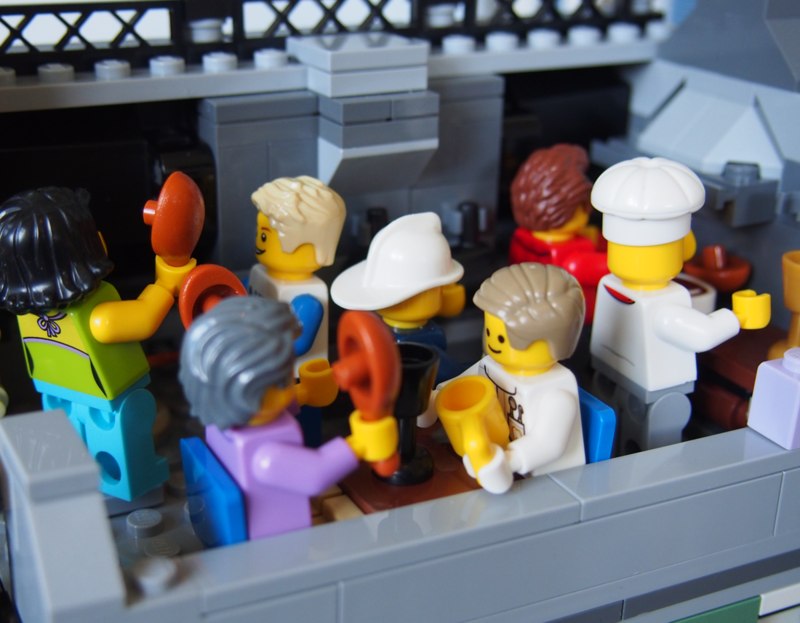 All the mini figures can fit into the ship. There are also many nice stickers and it gives the ship a nice feature. 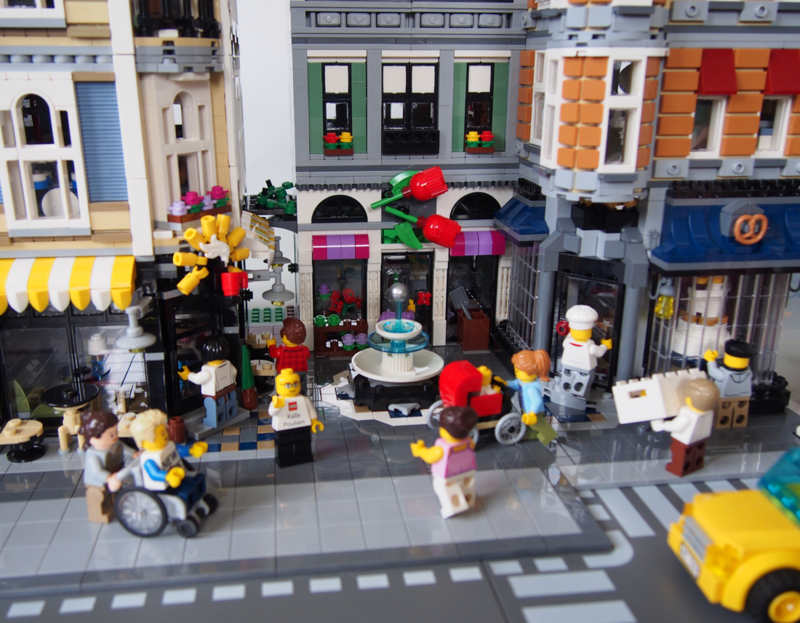 The other day, I dropped by Lego Store in Stockholm. It was almost closing time, so I almost had the whole store for myself. 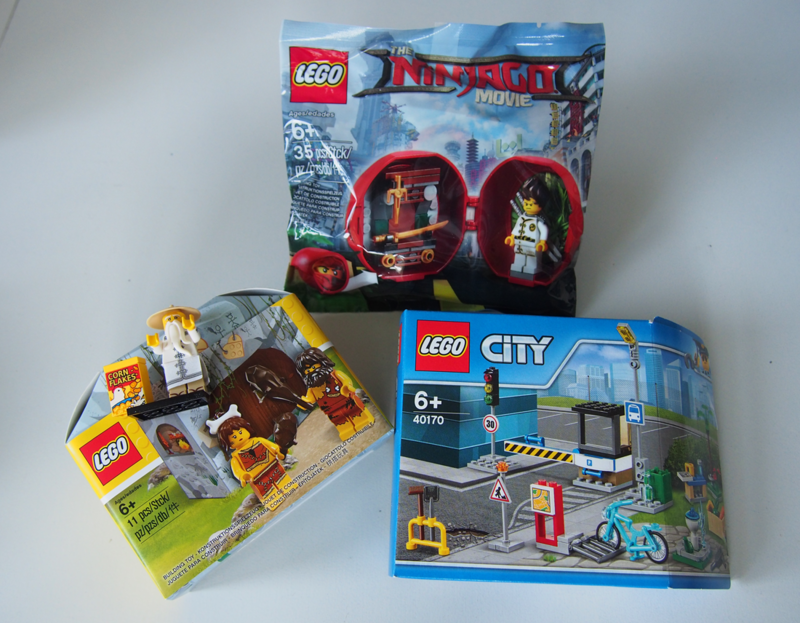 I had a nice chat with a Lego employee, he gave me some freebies, thanks! 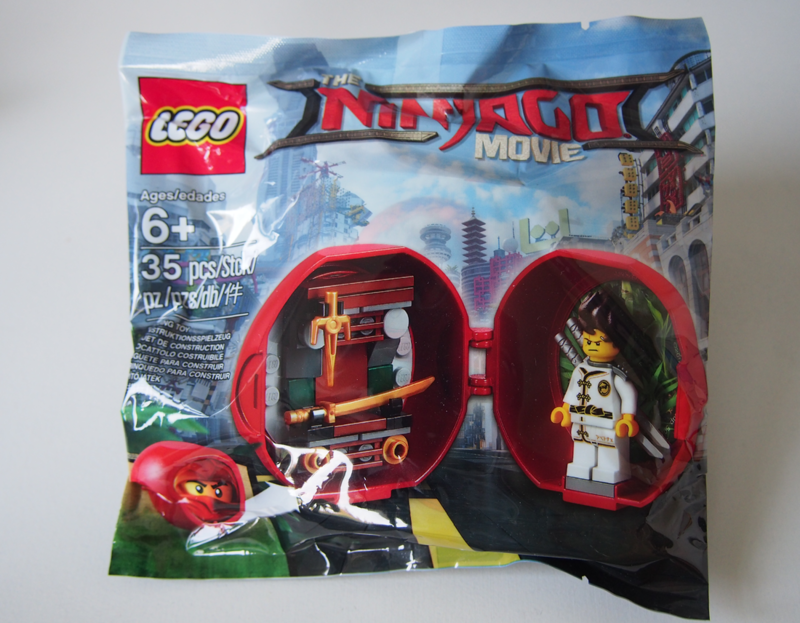 Even if I’m not a fan of Ninjago, I bought a mini figure of the new serie. 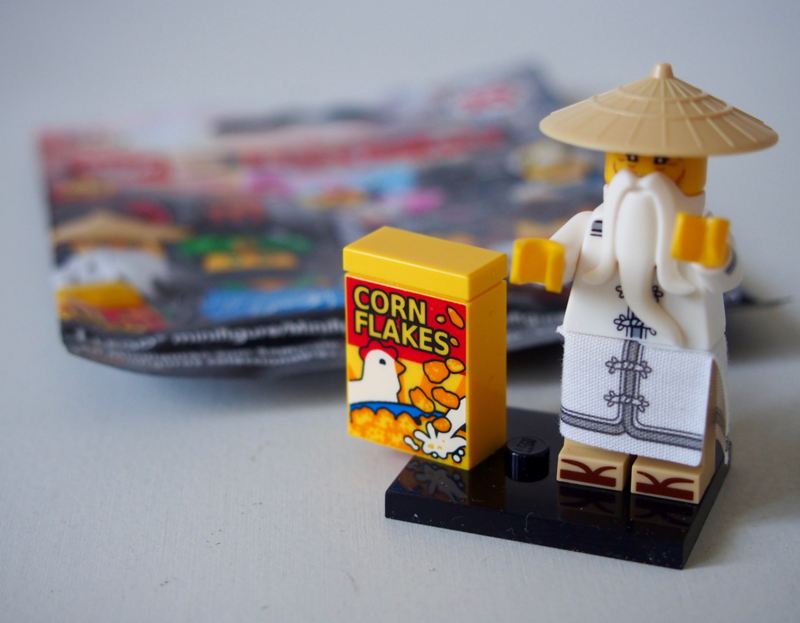 I luckily got Master Wu with a cornflakes package! The project is completed! As you can see in the picture the builders are happy and proud of their work (you can see me in the center). 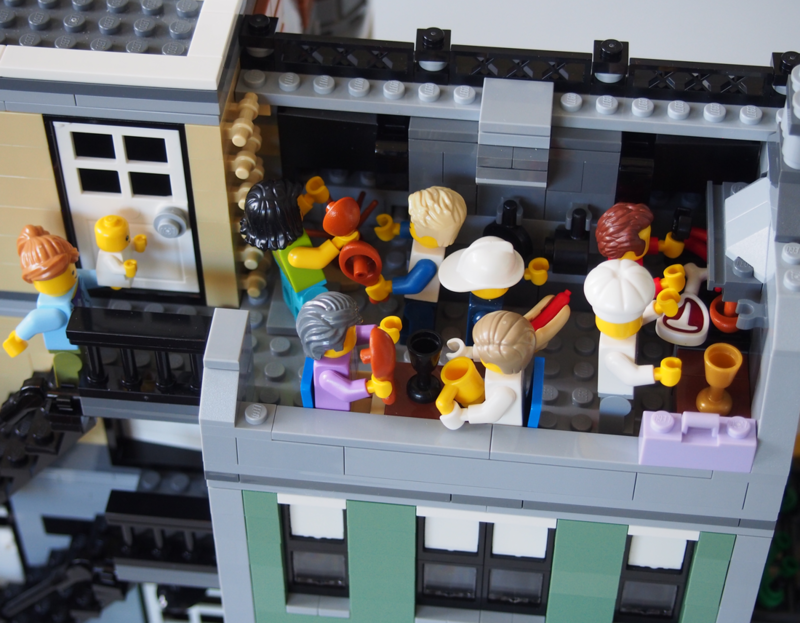 The new tenants arranged a housewarming party on the roof topp terrace. 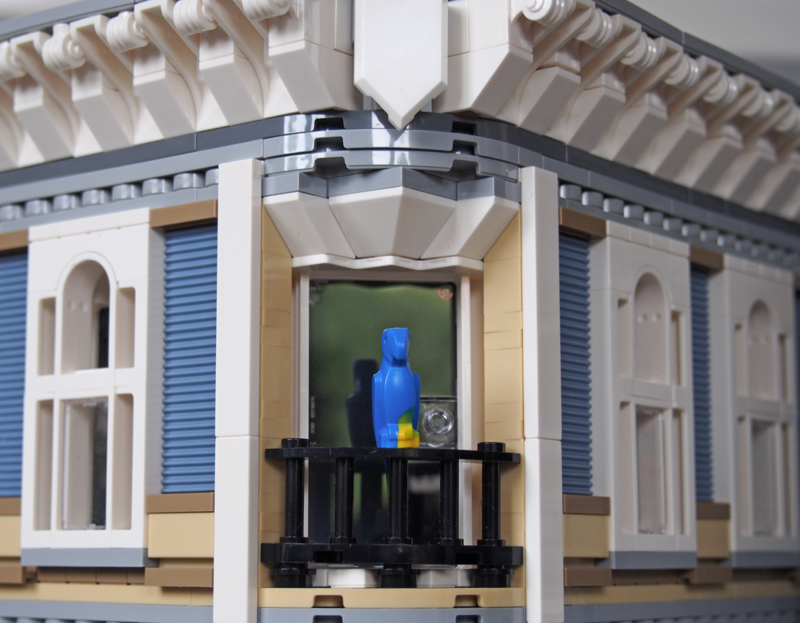 A parrot found a new home on a balcony. I love this building for all its details! 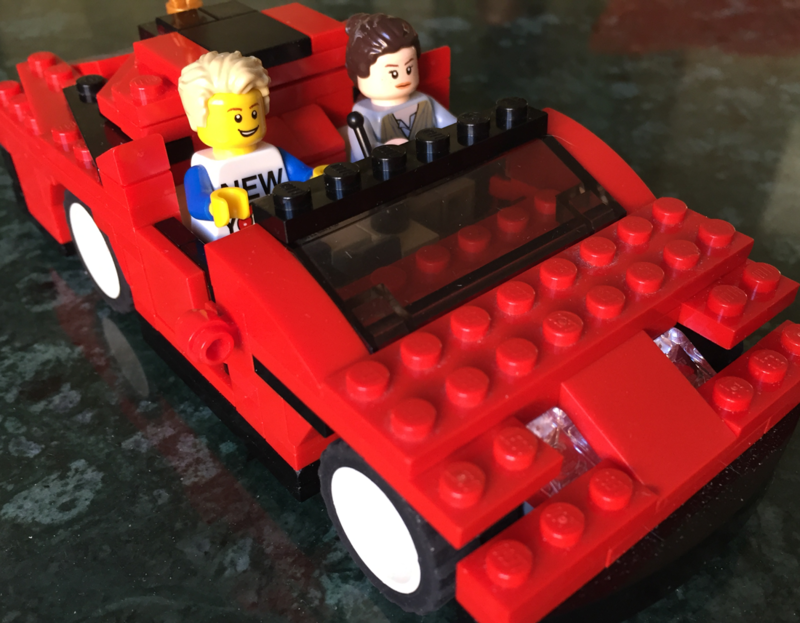 I’ve created my own Ferrari. It’s not a replica of an existing model. 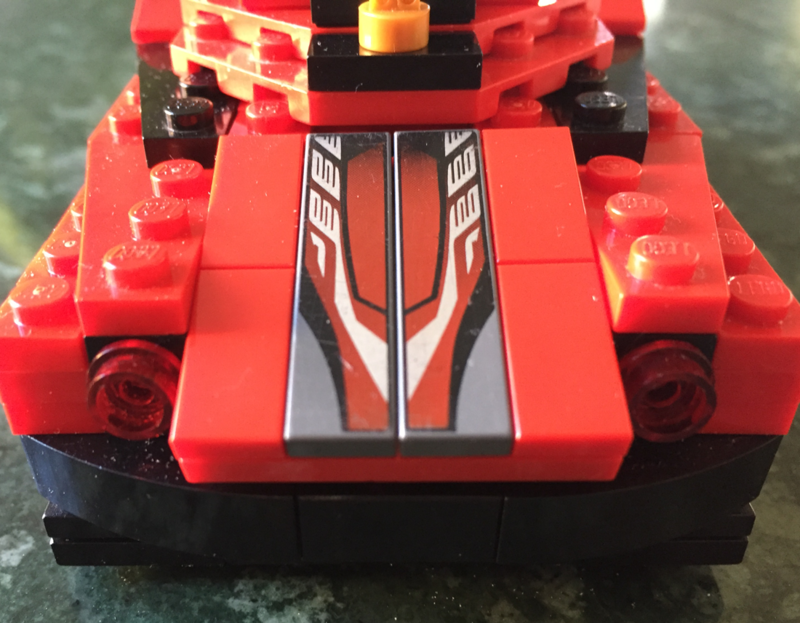 The car has some features, so it definitely has a Ferrari look. 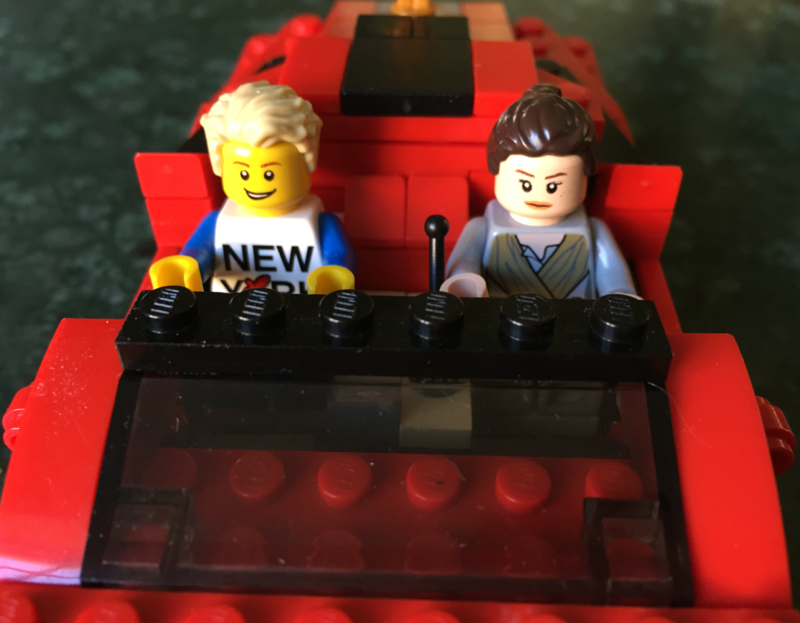 I took the car for a cruise in company with celebrity Ray from Star Wars. I’ve been away for a while on vacation in Malta, so nice! 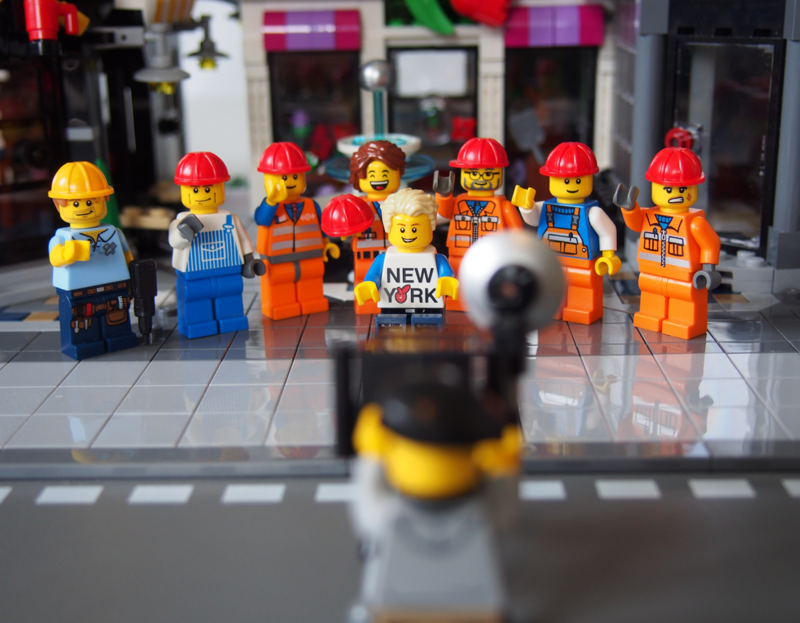 Now I’m back and can help the crew to take pictures on the progress. The project is in its final stages. 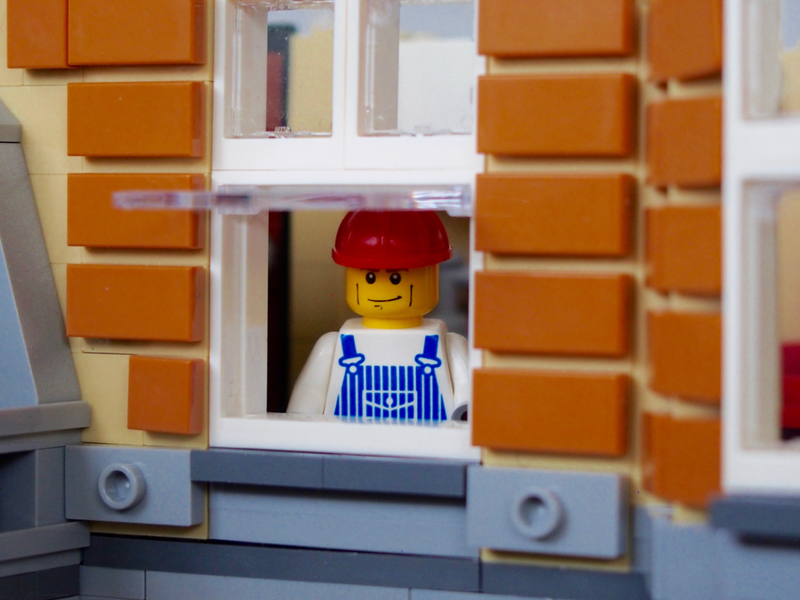 Today’s work is to install a few windows. 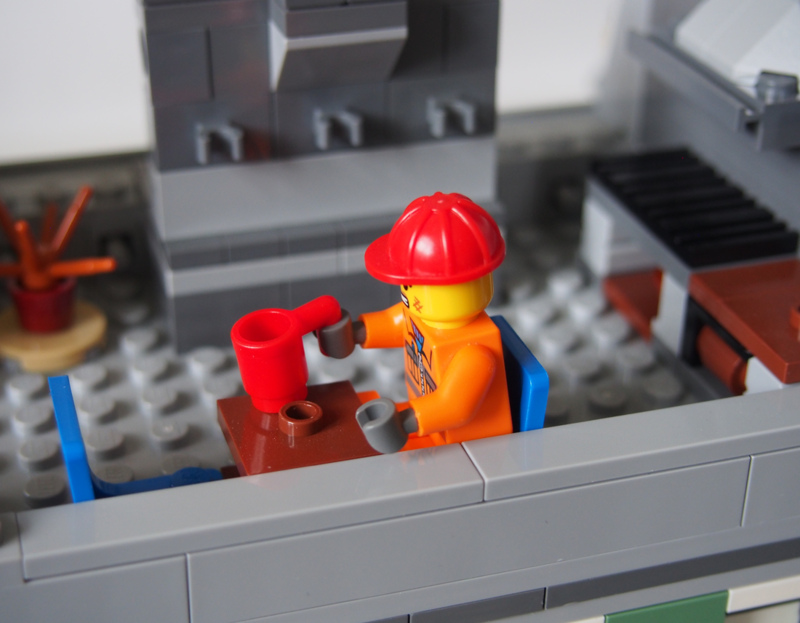 One of the builder’s take a coffee break on the roof terrace! 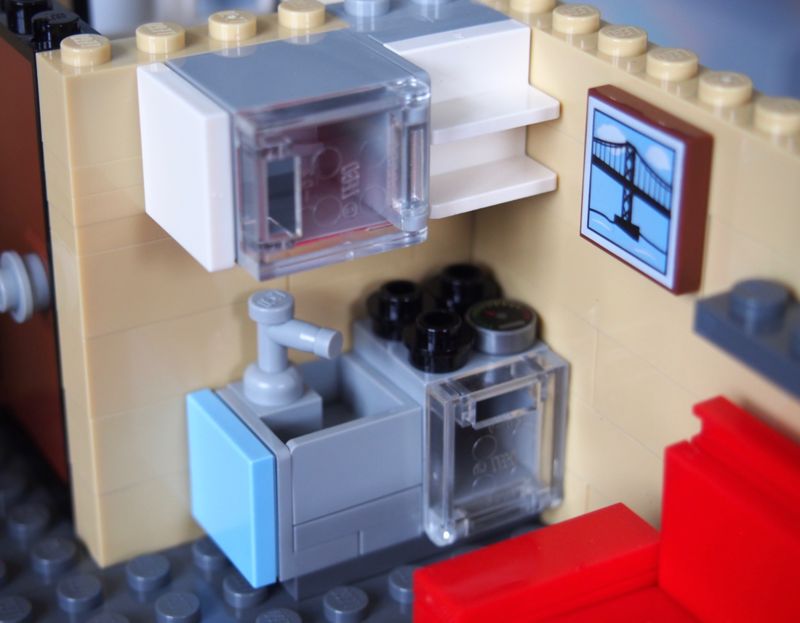 One picture is in the kitchen in the Lego fan apartment. You can view the next post of Assembly Square on Tuesday. 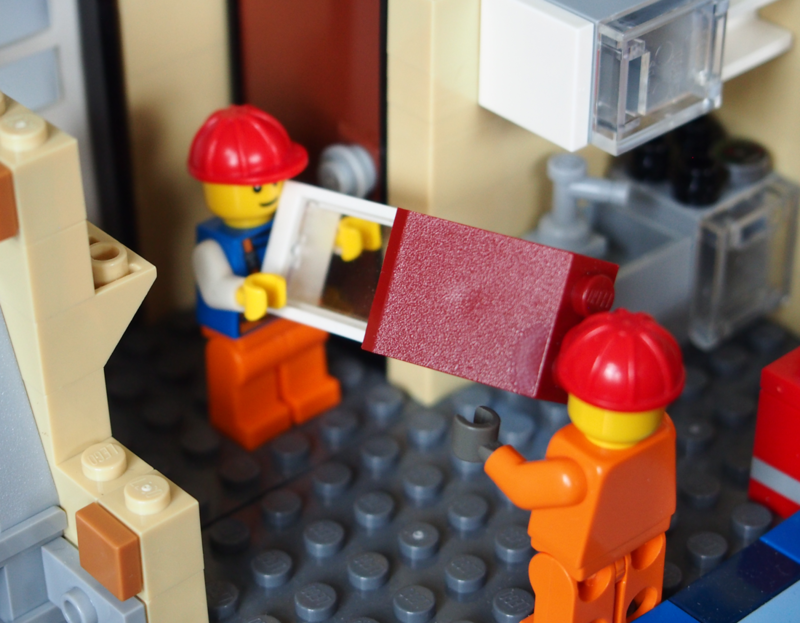 Lego uses about 50 different colors and when an employee in Billund changed a color tube one day in 2015 to grey a misstake was made. The tube was mislabeled with light grey instead of dark grey. 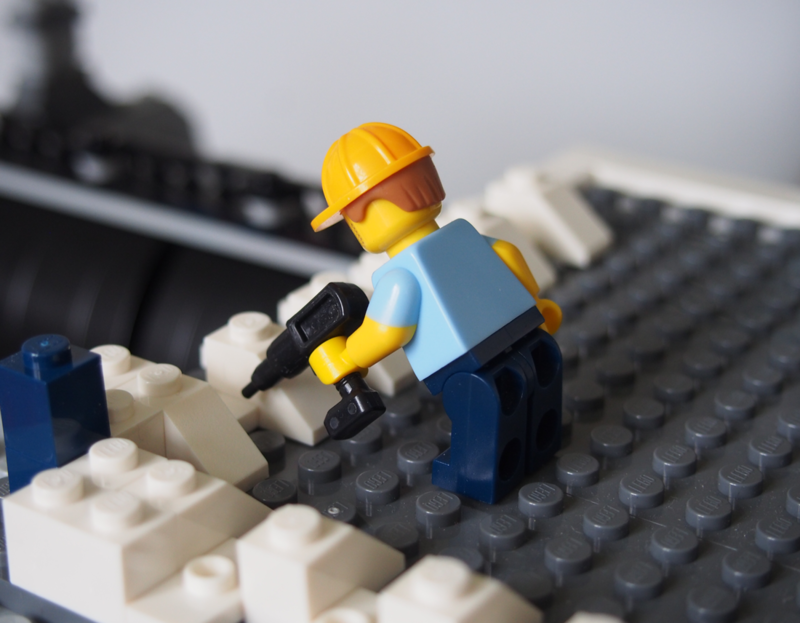 Because of this misstake Lego had to repack 129 000 boxes at the factories in Czech and Hungary with a lost of $ 1.6 million.